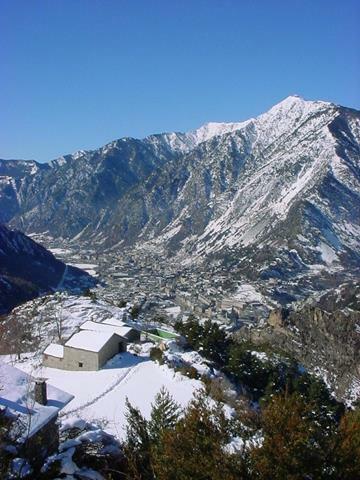 Andorra is a little country sitting in the middle of the Pyrenees mountain range between Spain and France. Absence of much flat land means that the towns are very crowded together and the roads very	windy as they climb up hills. The population is around 65,000 yet only about one sixth of these people	are native to Andorra, the rest being Spanish and French. 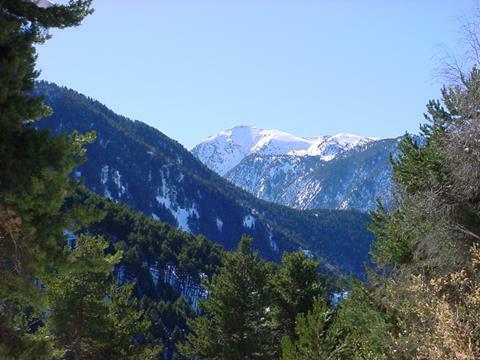 Andorra's main attractions are the mountains	for skiing in the winter (some of the best in Europe) and hiking and other such outdoor activities in the summer. There is not however a lot of historical interest. We stayed for a night in the capital, Andorra-La-Vella which was geared mostly around tax-free shopping, bars, restaurants and entertainment. The traffic was bad, the roads confusing, twisty and often	very steep. The town is not the prettiest in the country, unfortunately we did not have time to visit	elsewhere, but we did go to one of la Vella's most popular tourist attractions, the geothermally	heated Caldea spa, undoubtedly the most expensive swimming pool I have ever visited! 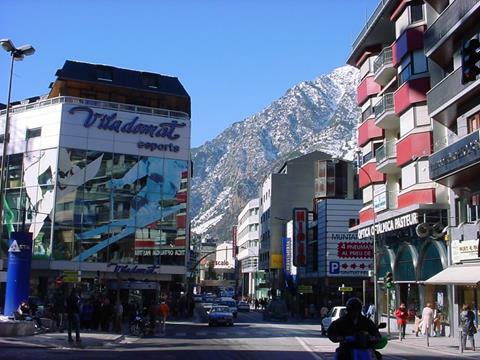 Andorra la Vella, the capital of Andorra is the hub of the country, functional in a 1960s ski resort	brutalist style, although from this view it looks rather scenic. This was taken from the road that	goes from the town up to the reservoir on the hill, which at the time was mostly empty and frozen solid. The peaks in the background rise to about 2500 metres. 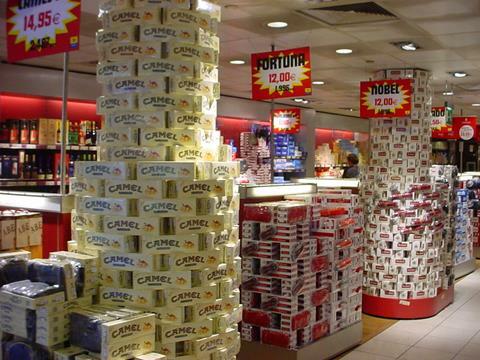 The department store "Pirineos" had cigarettes stacked to the ceiling, three-litre bottles of Jack Daniels	and White Label, all sorts of sports gear and electronics galore in the basement. It also had	a useful supermarket where we bought sandwich fixings as we were too poor to go to a nice restaurant. A view from the road to the reservoir over some of the fantastic scenery in Andorra. 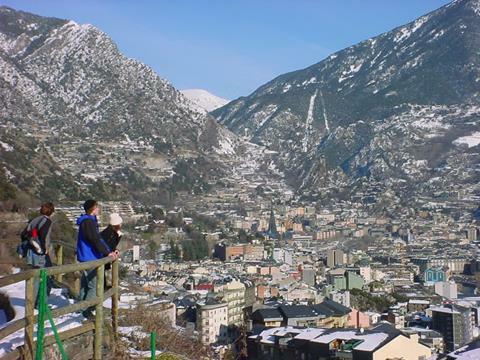 Again a view of Andorra la Vella, if you look closely at the photo in the middle of the town a large	black spikey pyramid thing can be seen, this is Caldea Spa. It has saunas, steam rooms, foot spa rooms,	roman baths, inscence rooms, heat lamp and sun lamp beds, hot stone benches, indoor and outdoor	pools and a music and light show every so often. It was fun to sit in the warm water outside right	next to the snow!